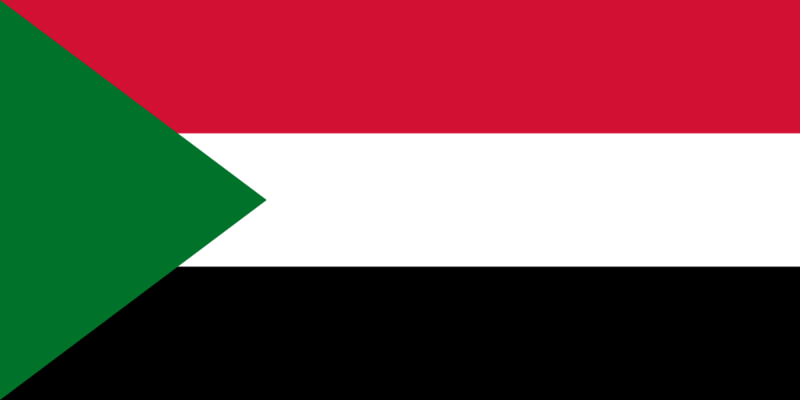 The flag of Sudan consists of a horizontal triband of red, white, and black with a green chevron on the hoist. The colors of this flag are pan-Arab colors, historically linked to the Islamic religion. These colors represent unity and independence. This flag was adopted on May 20th, 1970.